The Bobcat Cheer Team is a co-ed squad of athletes, whose season begins in late August. In late-October/early-November, the team begins cheering for the C of O Men's and Women's Basketball teams. 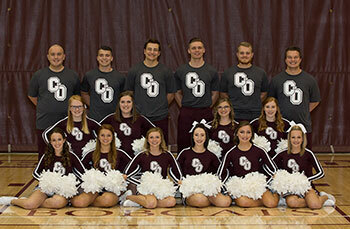 The C of O Cheer Team's objective is to promote school spirit in support of the College's athletic teams, student body, faculty, staff, alumni, and community. Team members exemplify the characteristics and long-standing tradition of the College of the Ozarks. The Bobcat Cheer Program is committed to the five-fold mission of the College, which encourages the development of not only the athlete but the entire person. Along with providing an opportunity to develop one's cheerleading skills, an emphasis is placed on leadership, decision-making, teamwork, focus, commitment, respectful communication, and exemplary work ethic. The ultimate goal of the program is to use the sport to enrich other areas of the student-athletes' lives and futures as they serve as poised representatives of the College. 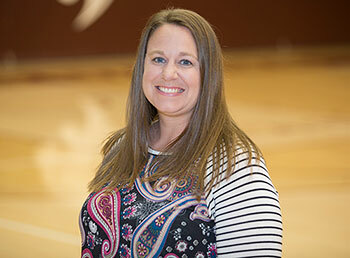 Layne Wilks, Administrative Assistant at School of the Ozarks, began her coaching career in 2014. Having thoroughly enjoyed cheerleading, Wilks always dreamed of the day that she could continue her love of the sport through coaching. A cheerleader throughout her years at Branson High School, Layne went on to cheer for the Bobcats during her college years. Wilks is excited to bring her passion for Bobcat Pride to the team and to carry on the amazing legacy of the C of O cheer program.